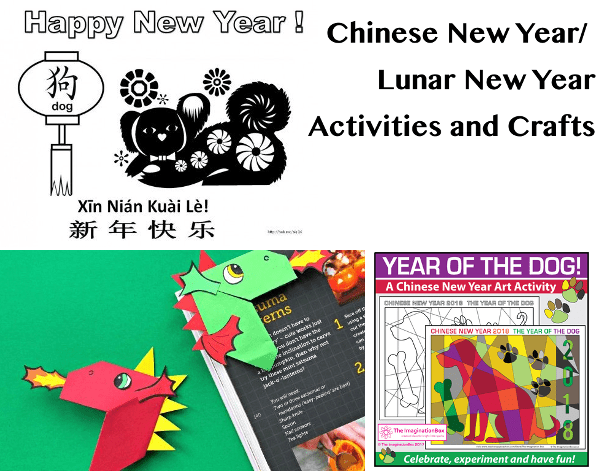 The Lunar New Year begins on Feb. 16, so there’s plenty of time to think about activities you can do with your kids related to the holiday. The upcoming year is the year of the dog, which of course provides lots of crafting opportunities. But if you want specific Chinese New Year projects, here are some options for you. The sign of 2018 Earth Dog is mountains over mountains. 2018 will be a very strong Earth. That implies the events related to land, real estate, county territory, agriculture, earthquake, mineral and the Earth will be more active than before. In Chinese astrology, Earth is also connected to stability, meditation and religion. Many people will be interested in spiritual or religious study. She also has some fun dog crafts. The Imagination Box has a great Year of the Dog art activity that is a free download at Teachers Pay Teachers, which is part of her larger activity pack that runs $5.95. Holidappy has some year of the dog coloring pages, with different kinds of dogs so you can download and color one that looks like your dog. And Red Ted Art has a nice collection of general Chinese New Year crafts and activities that are great for any year. Lots of great dragon crafts, musical instruments and more. Do you celebrate Chinese New Year or Lunar New Year with your kids? I’d love to know what you do!